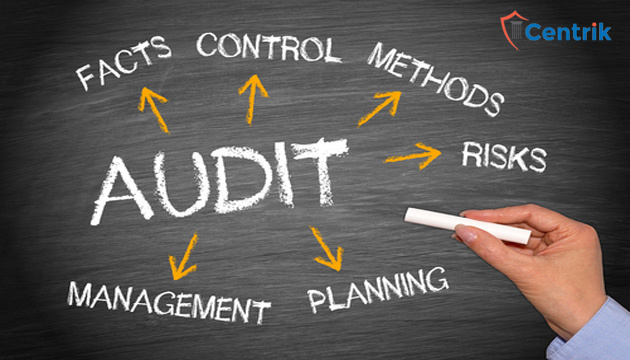 At some point or the other we all have heard that audit is going on in the company or for an individual, but being a layman do we understand what exactly audit of a company or an individual means? Audit means conducting an official financial examination of accounts. • To verify the correctness of turnover declared, taxes paid, refund claimed an income tax credit accommodated. • To assess the compliance with the provision of the GST Act or the rules made thereunder. • Any registered person whose turnover during a financial year exceeds Rs. 2 Crore shall get his accounts audited by a chartered accountant or a cost accountant as specified under sub-section 5 of section 35. • It is mandatory to provide a copy of audited annual accounts and settlement statements along with annual return as under sub-section (2) of section 44. • The annual return is to be provided on or before December 31, following the end of such financial year as per sub-section (1) of section 44. • Therefore, accounts shall get audited on or before December 31, following the end of such financial year. • The Commissioner or any officer authorized by a General or specific order may undertake the audit of any registered person for one or more than one financial year, either at the place of business of the registered person or in their office. • A notice not less than 15 working days must be issued former to the conduct of the audit in FORM GST ADT-01. • Audit shall be intact within a period of 3 months from the date of square one of the audit. • Further, when Commissioner is aware that audit of such registered person can’t be completed within 3 months, he may record the reasons in writing, extending the period not exceeding 6 months. • The conducted audit is to be verified by the documents on the basis of which the books of account are maintained and returns and statements provided as per the act and the rules made thereunder. The correctness of the turnover, exemptions, and deductions claimed, the rate of tax applied in respect of the supply of goods and services or both, the input tax credit availed and utilized, refund claimed and other relevant issues and record the observations in the audit notes. • The officer may inform the registered person of the difference noticed, as observed in the audit. The said person may file his reply and the officer may finalize the findings after the required consideration of the reply. • In Conclusion, the officer within 30 days shall inform the registered person about the findings, rights and obligations and the reason for such findings in FORM GST ADT-02. • Where the audit conducted results in detection of tax not paid or short paid or ineptly refunded, or input tax credit wrongly availed or utilized. The officer may permit action under section 73 or section 74. • At any stage of close examination, inquiry, investigations or any other proceedings, any officer not below the rank of Assistant Commissioner having observance and complexity of the case and interest of the revenue is aware that the value has not been recorded correctly or credit availed is not within the normal limits. The officer with the prior approval of the Commissioner directs such person by a communication by writing in FORM GST ADT-03 to get his records including books of account examined and audited by chartered accountant or a cost accountant as may be nominated by the Commissioner. • The chartered accountant or cost accountant nominated shall submit a report of such audit duly signed and certified by him to the said Assistant Commissioner within a period of 90 days. • The registered person shall be given an opportunity of being heard in respect of any material gathered with respect to special audit which is intended to be used against him in any proceedings under the act or rules made there under. • On Conclusion of the special audit, the registered person shall be informed of the findings of the special audit in FORM GST ADT-04. • The special audit conducted under sub-section (1) results in detection of tax not paid or short paid or crudely refunded, or input tax credit wrongly availed or utilized. The officer may permit action under section 73 or section 74. Goods and Services Tax (GST) Act, is surely the new tax regime playing across India and businesses will face issues in its applications and transition. But sooner or later we will be thankful as GST will eradicate the misuse of taxes.